I’ve cycled the streets of Eck en Wiel & past the thick green carpet of an algae covered pond and thought I cannot be unhappy here. I have woken up hung-over and disoriented in Bruges with a train to catch and thought I cannot be unhappy here. I have hidden beneath a pier with a British sailor in a Spanish port town and thought I cannot be unhappy here. Up all night in Hania, ouzo soaked. I cannot be unhappy here. Through a hundred terminals and terminals and buses and trains throughout my life. I cannot be unhappy here. Happiness in and of itself, the peripatetic life for me. It’s no surprise to me that I travel for work a lot these days. I always intended it; I had to. Hence the birth of Local Milk Retreats. If you’d like to, perhaps, travel to one of our workshop-retreats in the coming year, give the new site a visit and join the mailing list. There are talks of every where from Japan to Australia to Portugal to France as well as a handful here at home in the U.S. … we have so much in the works for you. 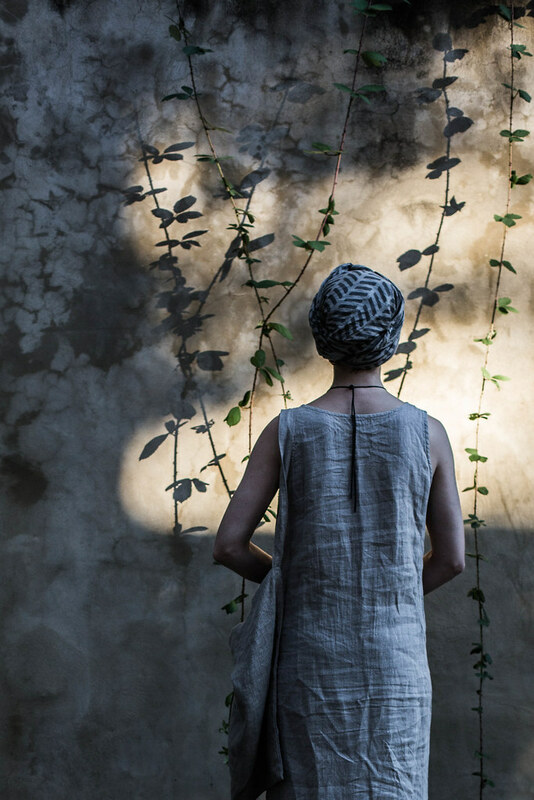 The retreats are weekends away that combine the intimacy of small gatherings, the creative inspiration of travel & local foods, and hands-on practicums teaching both creative skills like photography & styling as well as down-to-earth skills like weaving, baking, and florals. They’re ultimately about slow living, relationships, local foods, inspiration, and creativity. I am, on some fundamental level, an air plant. Tillandsia. Roots in the earth aren’t for me. I possess the deep love of home characteristic of a Cancerian, but to a certain extent I carry that home on my back. And that’s what you’re looking at. My little home away from home. My light on my feet. My creature comforts. My nesting abroad. And this really is my uniform. I’m awfully boring. Just ask anyone who’s seen me in the past month. 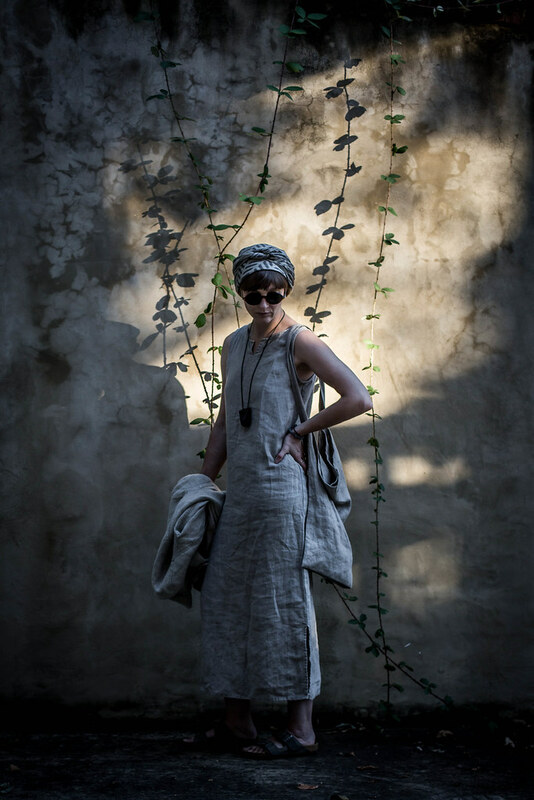 All linen, all the time. The laundry is spinning the next room over. My music is loud, my bag laid out on the bed. A cold glass of maté is close at hand with a dose of ginkgo tincture in it for good measure. It’s 10pm. I leave in the morning, 6:30am. And I am light, light. It’s nothing really, a 4 day jaunt up north to the Boston area for work. But to go is to go, no matter how near or far or short or long. And as soon as I set foot in that world between all worlds, the airport, I think I cannot be unhappy here. These are the essentials I don’t leave home without these days. 1. For longer trips, this is truly my home away from home. 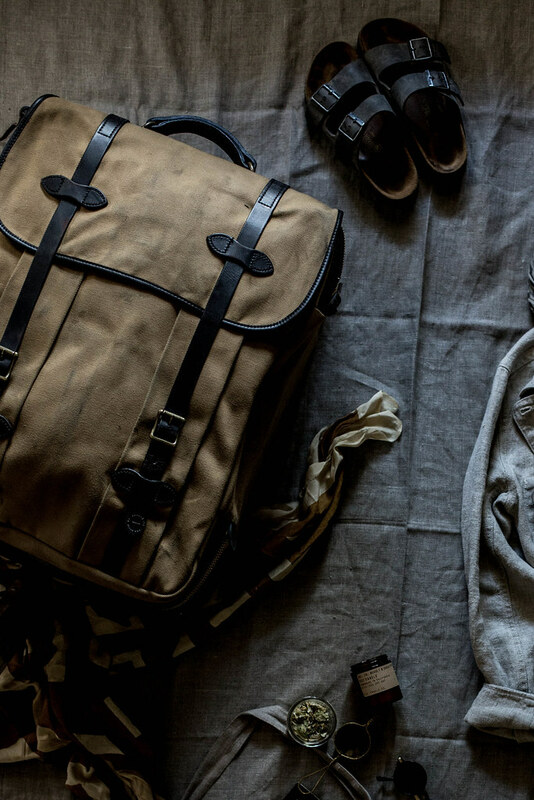 Rolling Check-In bag by Filson. 2. Not one but two Blockshop Textiles scarves. I wear them as head wraps, scarves, shawls, and generally lay them around to be pretty and make me happy. You can find my head scarf tutorial on the app I’m obsessed with, Steller. 3. The best travel shoes, say what you will. Easy to kick on and off & comfy as all get out. 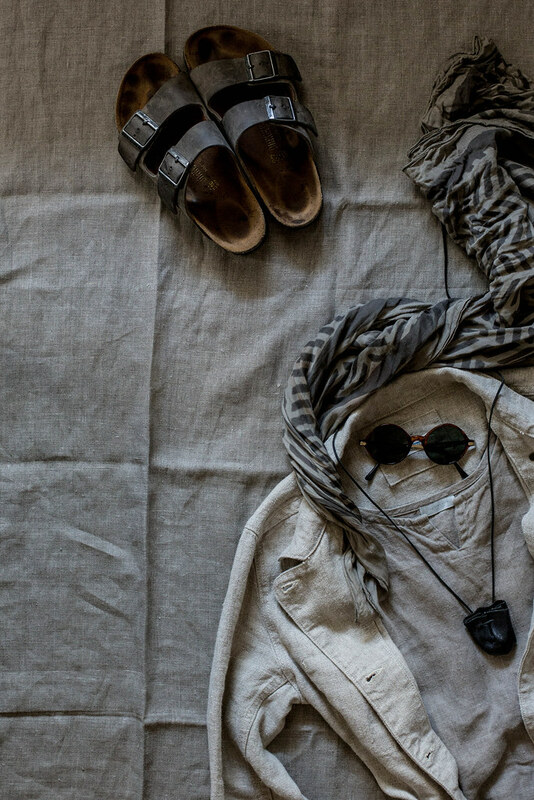 Birkenstocks in Iron. And yes, I wear them with socks if I wanna. Planes get cold, and it’s my life. 5. My carry-on & make-up bag are cut from the same cloth as my dress. I like to keep my palette monochrome & neutral when I travel. It makes fewer pieces go further. Linen bag & checked zippered pouch by Fog Linen. 6. My leather notebook case by Pear Tree Leather Co. is the BEST. It is the perfect size for a Field Notes notebook, my passport, credit & cash, and ID. 7. My Wild Unknown deck. Because you never know when you’ll need to know. 8. My medicine pouch from High Garden Tea in Nashville. It’s contents are personal but include citrine, obsidian, and a shark’s tooth. I wear it everyday for strength & protection. 9. My mini iPad. No, this isn’t an apple commercial. That thing is my BRAIN. Evernote for the win. And creating stories on Steller is my favorite flight past time these days. Well that and Cookie Jam. 10. P.F. Candle Co. travel candle. I always travel with a candle, a touch of home. Love this one in Eucalyptus & Neroli. 11. A jar of homemade sleepy tea & a tea strainer from Bellocq. Yes, I brew loose leaf tea on flights. And at night when I’m away. Helps adjust jet-lag and is just a creature comfort. It feels normal. My blend features hops, valerian, chamomile, lavender, and damiana. 12. Martine sunnies from American Apparel. I am a sunglasses hoarder. I try to only travel with one pair, a relatively cheap one at that. Round all the way. 13. My travelling apothecary: facial tonic for refreshing after flights by Marble & Milkweed; Clary Sage & Lavender hair powder by Lulu Organics because travel hair; a small bottle of Thayer’s Rose Petal & Witch Hazel facial toner. Because it smells great & makes me feel clean. No one paid me or asked me to write about this stuff. I just like it all. F to the YI. Want to travel together? Again…join the mailing list at Local Milk Retreats and let’s have some crazy adventures & create beautiful stuff together! photos of me taken by Amanda Nolan Booker. wooow, such a lovely outfit. You have a certain grace to yourself, Beth. I can’t quite figure it out, but it’s there, and not at all boring. Everything around you is truly inspiring. 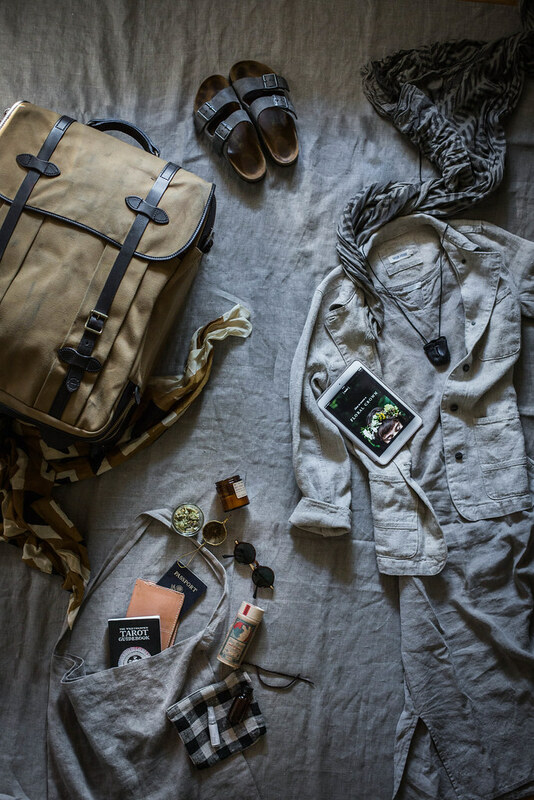 Your photos are incredibly beautiful and evocative, and your travel essentials are fantastic! I’ve been hoping and wishing for this post – thank you for such a beautiful snippet into your life and travels. I love your warm earth-toned palette; I’ve long tried to create something similar in my life. Any chance of public appearances in Boston?? I haven’t yet made it to your home city but you are so welcomed in mine! Oh wow, I think bringing your own loose leaf tea on travels is such a nice thing. I have just never though of it. I am wondering however, what do you do with the strainer after using it? It will inevitably be wet right (I’d probably dry it with my sleeve, but that’s probably not the most elegant solution), how do you solve it? Your photos are amazing and this is definitely some very nice travel inspiration, thanks! I just use the napkin that comes with the cup of hot water to wipe it off. You are one unique and stylish woman Beth. Wow is all I have to say after reading this post. I am definitely looking forward to the Australia 2015 retreat, will be keeping my eye out for more details. oh my…these pictures are so adorable dear beth!! Thank you…& I fixed the link! Yes yes yes!!! I love this so much. Doubly so because your travels are taking you to this little corner of the world — cannot. wait. P.S. I’m too in love with Fog Linen. It’s a problem. Help me not buy everything that gorgeous lady makes. 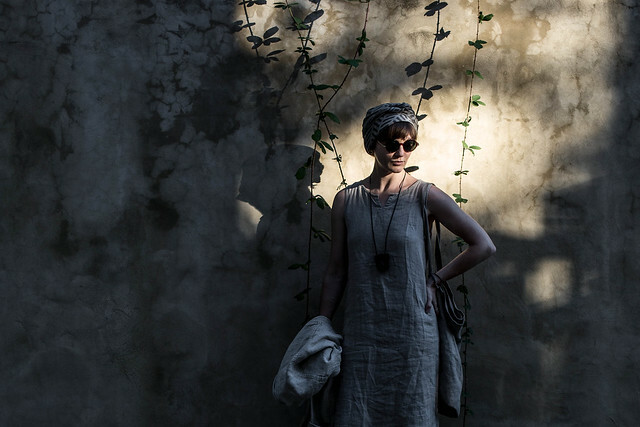 Hi, Beth – great article, good travel tips, and a lovely linen ensemble. We who live in Maine love our “nuthatch” linen made in downtown Rockland, ME. Check it out while you are in the Boston area. I couldn’t agree more about the birkenstocks! I have to second the Marble & Milkweed tonic. I use it every day anyway, but nothing else will do for post-travel refreshment. I like to keep the little squirt bottles she sends with the seasonal kits and refill them from my big bottle, for travel purposes (because then it can go in my carry-on). Yes. Everyone should have clothes that feel good and work. That they love. Birks actually suit you ! you are one of those rare creatures like Ashley Olsen who can make them work ! aaaah yes yes yes i love this. “a homebody with wonderlust.” that is me exactly. hoping i can find a way to make travel my life like you have. thanks for sharing! have to say, gorgeous photos as always! makes me want to pack and be off! I saw your kitchen photo at Gardenista and had to come and check your blog. Lovely photos, I’m really enjoying it. Then I saw this: “I’m a homebody with wanderlust”. Well met, fellow Cancerian sun. You look very elegant and chic but I suspect you would no matter what you were wearing. Kind of an Audrey Hepburn grace. 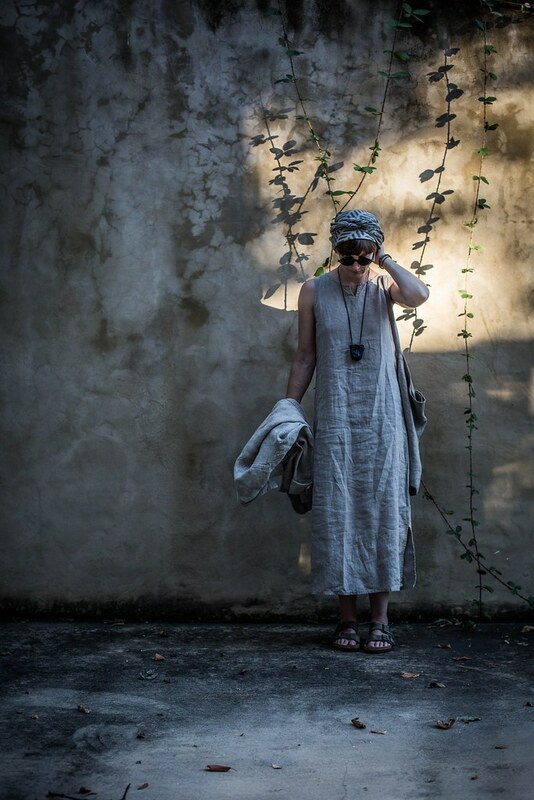 If I were wearing that linen dress I would look like the washerwoman. 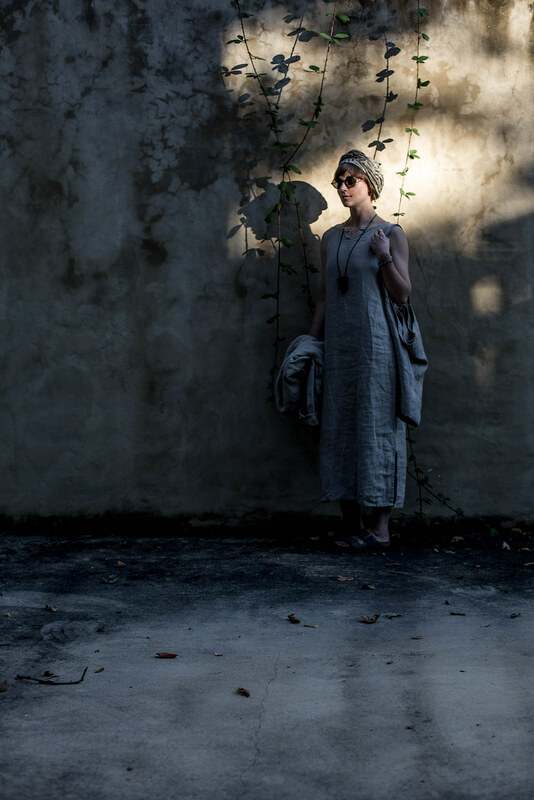 Beth, I wear a lot of linen and it is perfect for travel and I just go with the crushed look. Loved this post so incredibly much, Beth. I’m a traveler as well and having spent 11 months traveling around the world with solely a 22 lb backpack on my back, I truly know what it means to carry your home on your back. 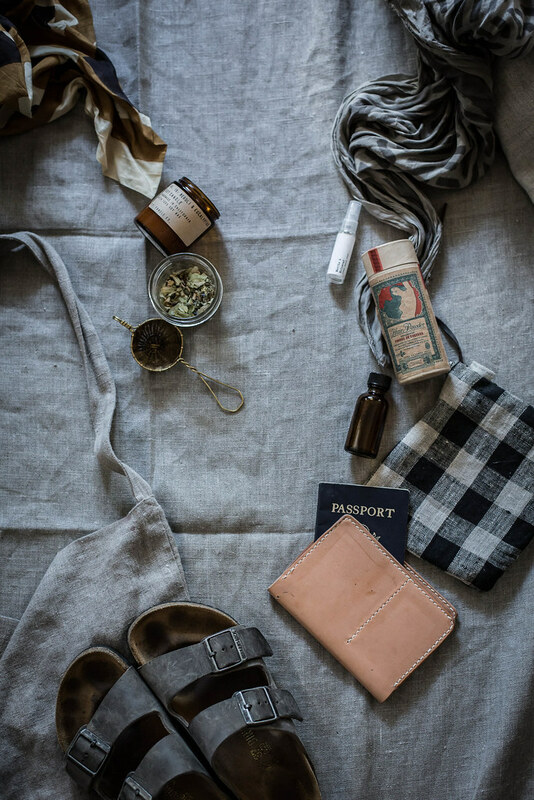 Thank you for sharing your travel essentials; I found some old favorites as well as new loves. ‘I’m a homebody with wanderlust’ describes me so perfectly! I adore the photos in this post – even more gorgeous than usual! I must admit that I miss a lot of what’s going on in internet since pregnancy hormones’s hit my head, but it’s always good to come here. Such a refreshing entry. We’ve stopped for a moment with Tomasz, but you made me excited about traveling again. I have my “must take” objects as well and now I’ll have to organize a small travel kit for my baby girl when she arrives. It’s so exciting. Thank you for sharing. I want to be you. Except for the Birkenstocks. i travel frequently too and always find it interesting to see what other travelers find integral. never thought of the candle idea, but do agree with bringing good tea. there’s always hot water to be had in the air. enjoy your work. that should read “i enjoy your work” not mean that i am saying you should enjoy your work. How beautiful is it that you travel with a candle. It’s all about comforting yourself, that’s what I like about your list. The wild unknown tarot deck travels with me as well. You do beautiful work and photos. I love, love, love that bag! And I never thought about carrying my own tea. It’s such a smart thing to do, as you said, with jetlag and such!